The media has battled President Trump from the day he announced his presidential bid. They have attacked him the last two years like all other Republicans, but have consistently failed. Trump’s approval ratings have been relatively consistent with a few rough patches; however, he always bounces back stronger. The legacy media cannot destroy what they did not create. 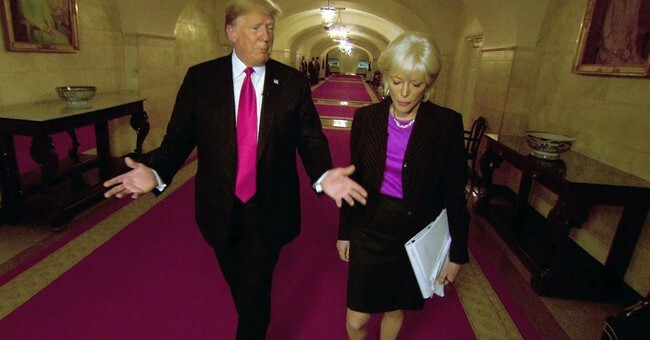 Lesley Stahl with CBS News sat down with Trump for a one-on-one interview. She peppered him with questions about several different subjects. Stahl’s inquiries were “gotcha” in nature, but there was one difference. Trump is not a typical Republican president because he pushed back causing Stahl to change the subject quickly but he would not allow it. In the past, the mainstream media questioned those on the right with the sole purpose of tripping them up, and Trump was no different. We are in a different political age, and the left’s tactics no longer work. Trump is not a typical president, but the left has used their tried and true tactics because they always work. The media crushed former President George W. Bush for the Iraq War. His approval numbers fell to the upper 20’s at one point. Harry Reid lied about Mitt Romney. He told an interviewer with the Huffington Post that Romney does not pay his taxes. Romney denied the accusations, but problems arose in the election from Reid’s statement and he later boasted about his deception. The media has thrown everything they know at the president, but have failed. There is nothing left. They have tried racism, sexism, mental illness, and many different lies that have resulted in journalists getting fired. Trump has deflated the legacy media and exposed their biases. Obama received softball questions. They refused to challenge his character, integrity, or emotions. On the other hand, Trump is under constant criticism. Trump told Stahl the media’s treatment was unfair to him, which is something Republicans never do. Trump uses Twitter as a means to control the media. All the major news networks believe they control the news cycle, but in reality, Trump controls them through social media. They are so obsessed with destroying Trump any tweet gets blown out of proportion. In the end, the leftist news looks like they are the mentally ill ones. Conventional political wisdom says that Republicans need to be neutral or even back down from the media, but Trump has destroyed that method and exposed it. He’s shown that a candidate can keep his base and also grow it when the press is challenged and defeated.